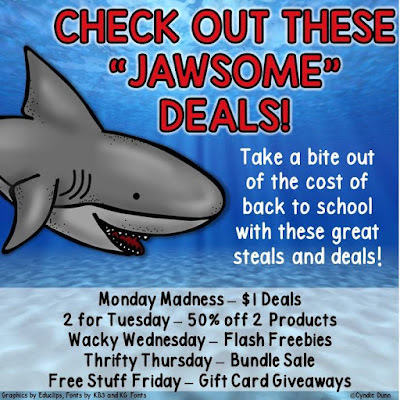 Jawsome Deals and a Huge Giveaway! 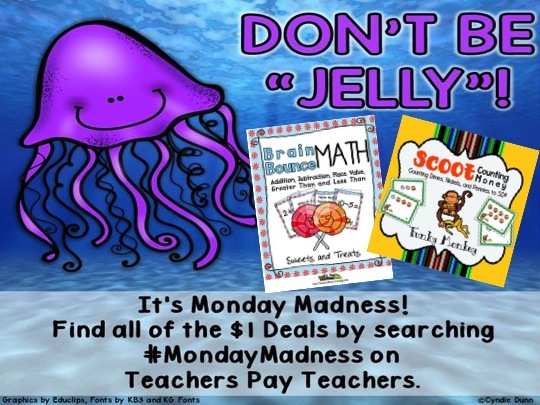 Deals for Teachers All Summer! Enjoy this awesome giveaway that we are participating in with some other great teachers. Click the image above for more info! We hope everyone is enjoying their much deserved breaks! 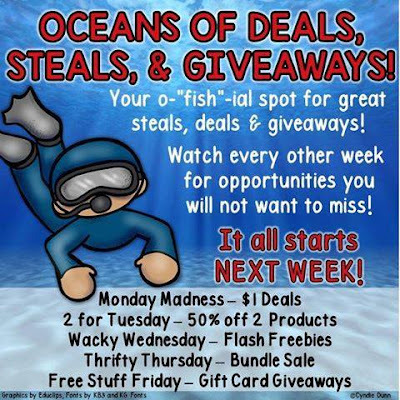 This is just a short post to let y'all know about these deals! 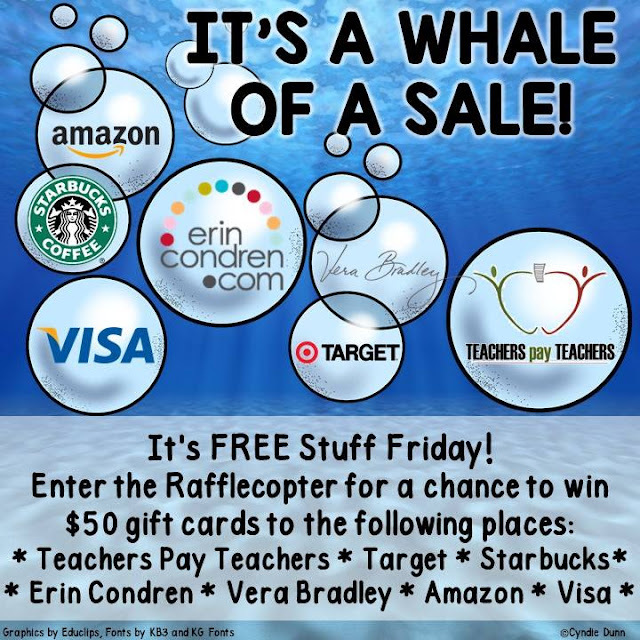 We are thrilled to be joining some awesome teachers to bring y'all some fun summer deals! 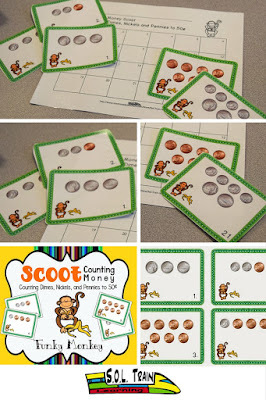 We will be offering our popular Brain Bounce game and our Monkey Money Scoot. Your kiddos will love the candy theme and monkey cards as they play these games! "Thank you, my students really enjoyed this - who knew that practicing math could be so fun?! " "My kids loved this game!" 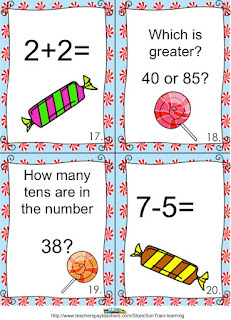 are only a couple of comments about this fun math game! Just click on the picture to see more. This is one of our best selling scoot games: Just click on the picture to see all the comments about it. 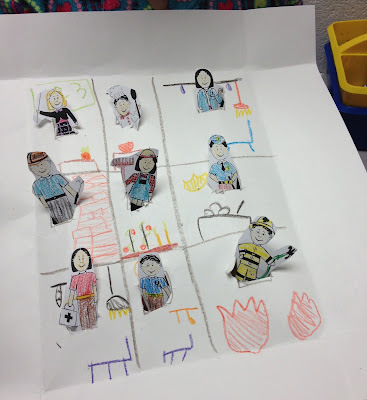 Here are the cute 9 community helper puppets that the kiddos love to color and use to sing our original Community Helper song that is also included! These are sheets that show the background to match the community helpers to. My kiddos decided to tape the sheets to a box to make a puppet show. 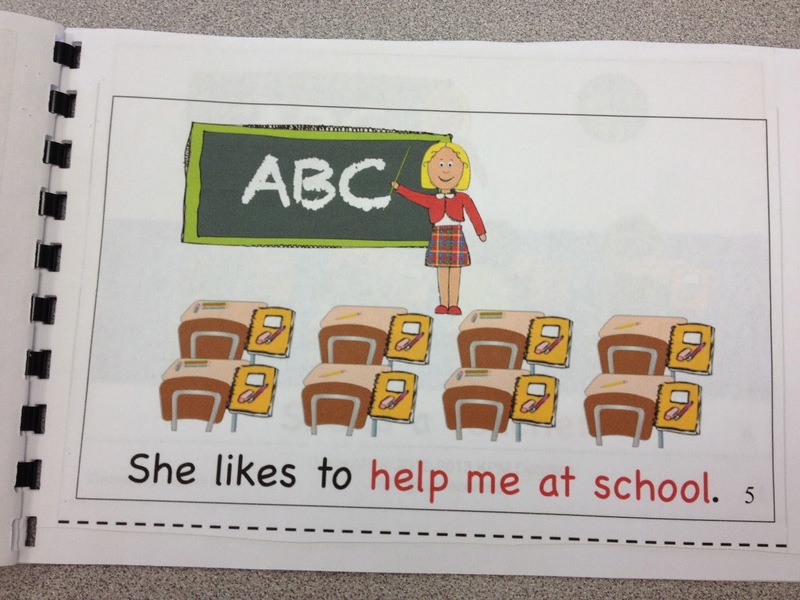 We also have these sheets in a smaller black and white version for the students. I had to also show y'all how creative my kiddos were with these puppets! This student made her own puppet theater. I love their creativity! 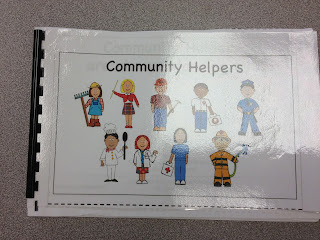 My kiddos also like to use the puppets as they read their community helper books. These are great books for their book baskets. 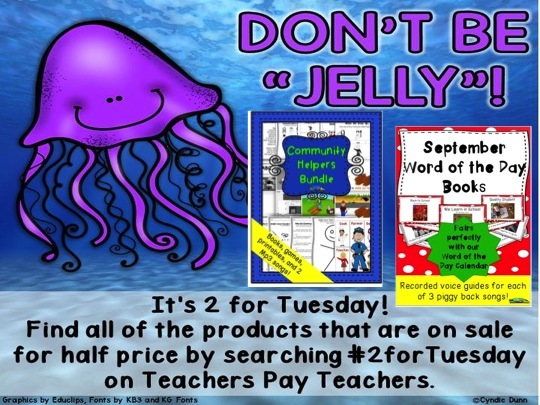 We are also offering our Word of the Day Books that have fun songs to sing the words to. 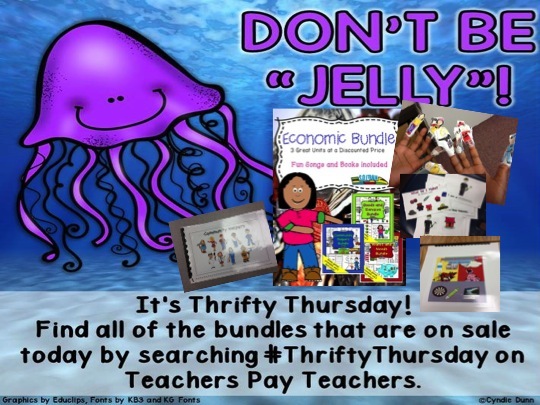 These books also go in the book baskets for my students to read. There is a color version for you to read, and a black and white copy for the students to highlight words in. 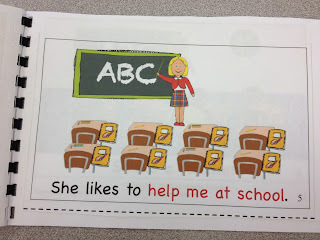 There is a teacher guide with more ideas. 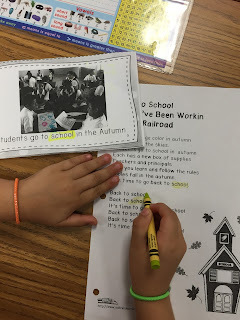 There is also a lyric page that the students can keep in their poetry folders. 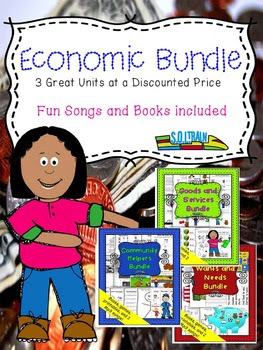 Today-Thursday is Bundle Day so we are offering our Economics Bundle for 50% off! 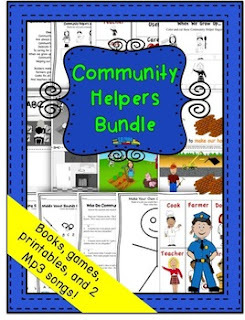 Each individual bundle includes an original song, books, games, activities, and more! Good Tuesday to you friend! I missed you greatly on Monday and hope you had a relaxing day off. 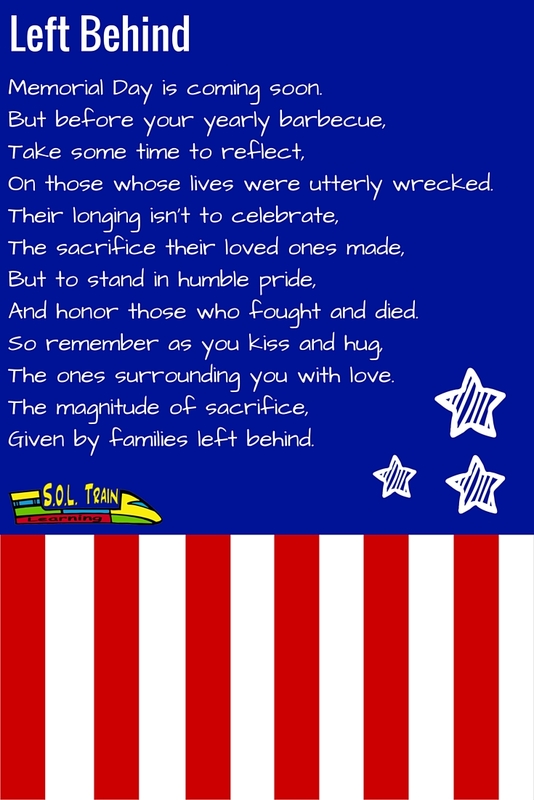 If you spent your time yesterday remembering a loved one, I again want to thank you for your sacrifice. So, are you as excited for Week 4 as I am? Great! If you are reading this thinking, what the heck, Brittany? I have no idea what you’re talking about, then you should catch up. 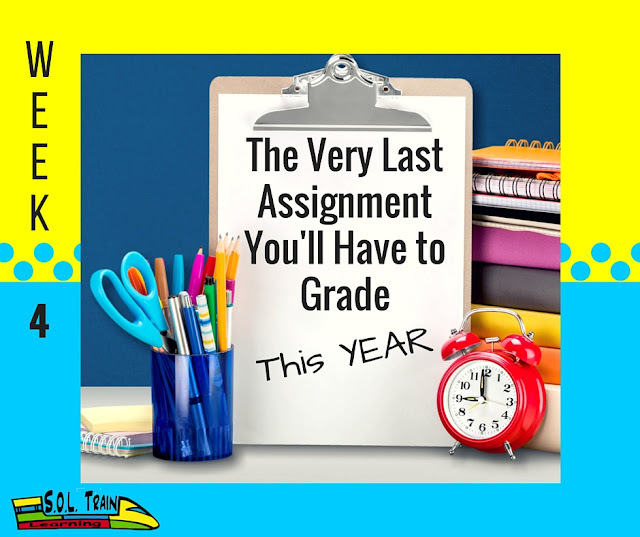 This is the perfect year-end project when testing is over and you’re not sure what else to do. Use this time to have some fun, teach your students a lot of real-world skills, and be truly amazed at how awesome your students are! WE HAVE MOVED to a brand new Wordpress site, and we are STOKED! Click HERE to read the rest. Well we are leaving in a manner of speaking. We are very excited to announce a COMPLETE REBUILD of our website! This means all our blog posts will be coming from there, in addition to links to our online resources. We're going to have even more digital products and get some online course stuff up for ya. All of our videos will be on the site. Everything you need will be all in one place!! If you can't tell, I'm super excited. 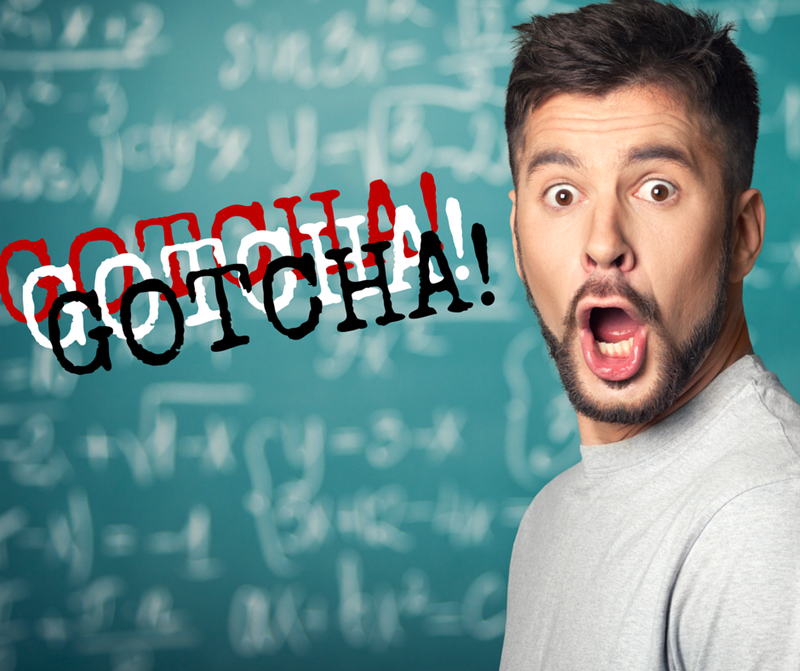 BUT, enough about my excitement, click below to check out our new location. Since you are winding down for the year, and will likely be sunning in the Virgin Islands, or just your backyard, you might not be spending as much time with me and my little blog. *sniff, sniff* And...I've...accepted...that. In FACT, I'm embracing it. You will still see blogs from us throughout the summer. They will just be fewer and further between. 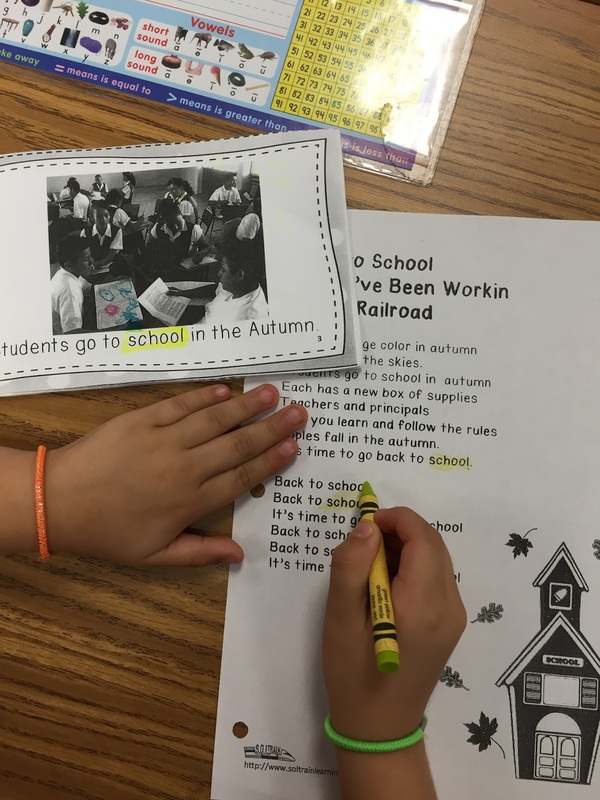 We're going to do one summer fun post and one school prep post each month as soon as our Real-Life Learning Project has come to a close. Side note: if you are looking for Week 4, do not worry. I'll be posting it tomorrow on our BRAND NEW SITE. As of now, FUN FRIDAY is closing for the summer. We will reopen it again in the fall. See you tomorrow. 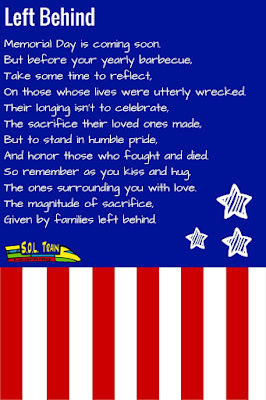 Have a nice Memorial Day! Happy Memorial Day Y'all! This is just a quick post letting you know about these great $2 Deals! 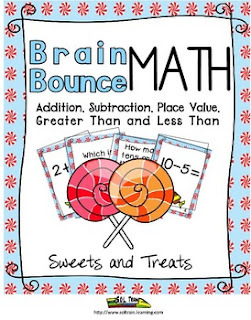 We are offering our popular Candy Brain Bounce Math Game that would be a great review and a fun activity for the end of your year or use it any time! 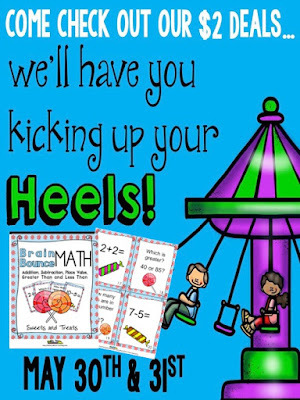 Your kiddos will love it! Read some of the comments made about this fun game! "My kids loved this game!" "Awesome!!!!!!!!" "Love this game" "A fun way to practice this skill!" "Thanks!! 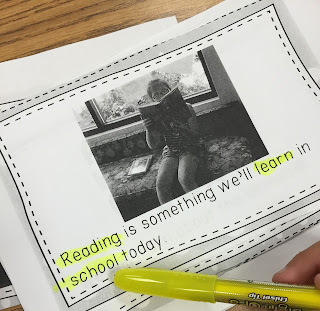 Collaborative and gets them away from just pencil and paper." 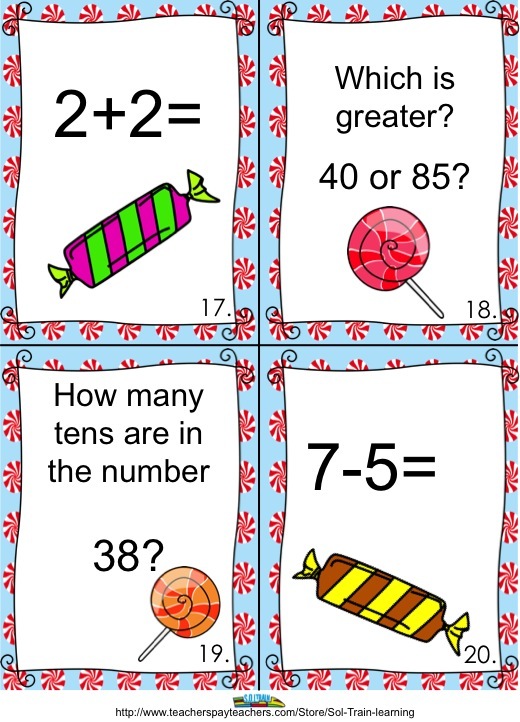 The cards can also be used in a math center or as a Scoot game! 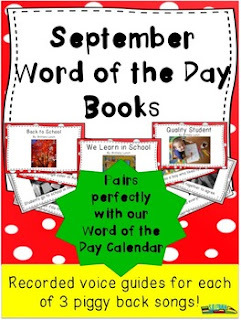 Click on the picture to see more! Remember May 30th and 31st! 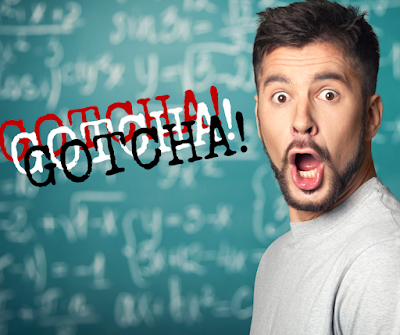 Have a great day and to those of you who are finished with school- Have a great summer! Not much to share this week. 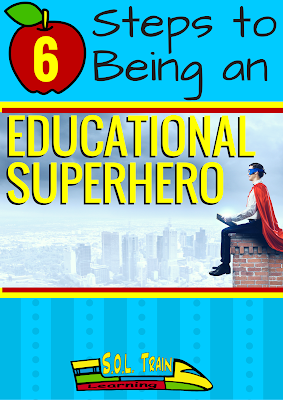 Just wanted to leave this here for you to have for your students. 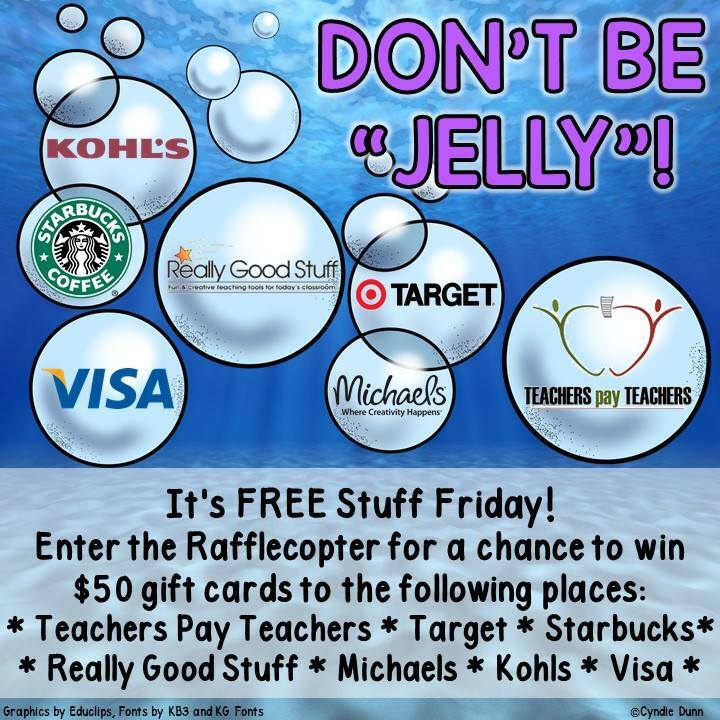 Click the image above for a PDF that you can print out for students to decorate. They can draw American symbols, or even write a thank-you letter to a soldier who is at war. You can explain that these soldiers have probably lost friends in war and would love some encouragement. 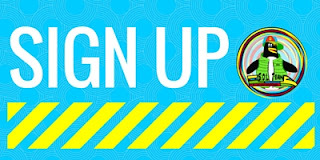 This website, A Million Thanks, offers more details on how you can go about supporting the troops. If you have lost someone, we are very sorry for your loss and know that pain never really goes away. 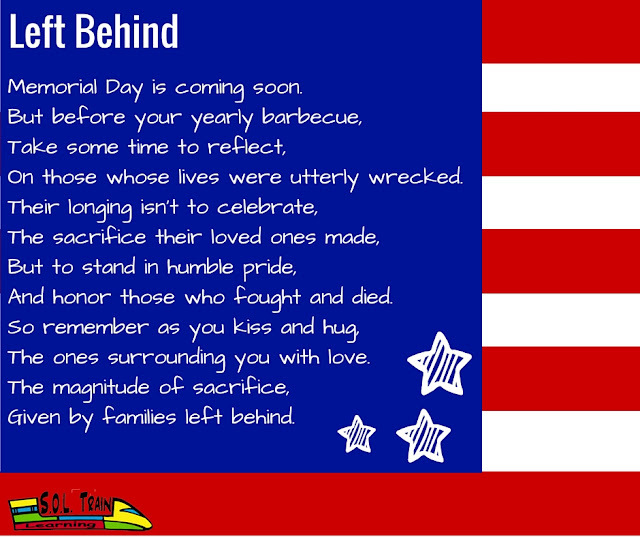 If you are mourning this Memorial Day, our prayers are with you and we want to thank you completely and sincerely for your sacrifice. Want to share this poem on Pinterest?